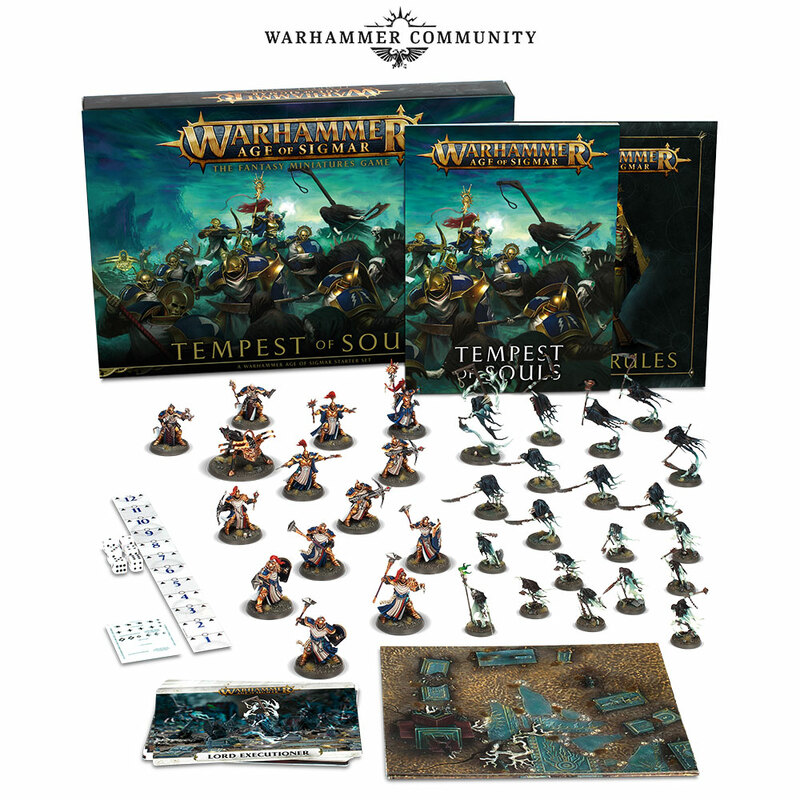 Looks like they are putting out some more starter sets for the new edition of AoS. It looks like this one has all the basic troops from the big starter set that was just released without the repeat characters or the rulebook. A sweet option for those of us who want more of what came in the starter set without plunking down for all the extras we don't want. I'll be getting one of these for sure. There is another set that just has the new easy to build sets. Depending on price I might get that. I'm definitely getting the two undead sets that comprise it and will probably just get them alone rather than the set, but if the price is $45 USD I'll get the big set. They are also coming out with start collecting sets with the models from the 1st edition set which are both pretty sweet deals. If those are $85 USD each, like all the other start collecting sets are, they will be great value. The one comes with 15 infantry, 3 characters and a monster and the other comes with 10 Liberators, 3 paladins, 3 prosecutors and a mounted character and one on foot. If these sets are priced like First Strike and Know No Fear box sets, than I will try to pick them up. I don't usually go for the BIG BOX starters but always buy multiples of these smaller starters. 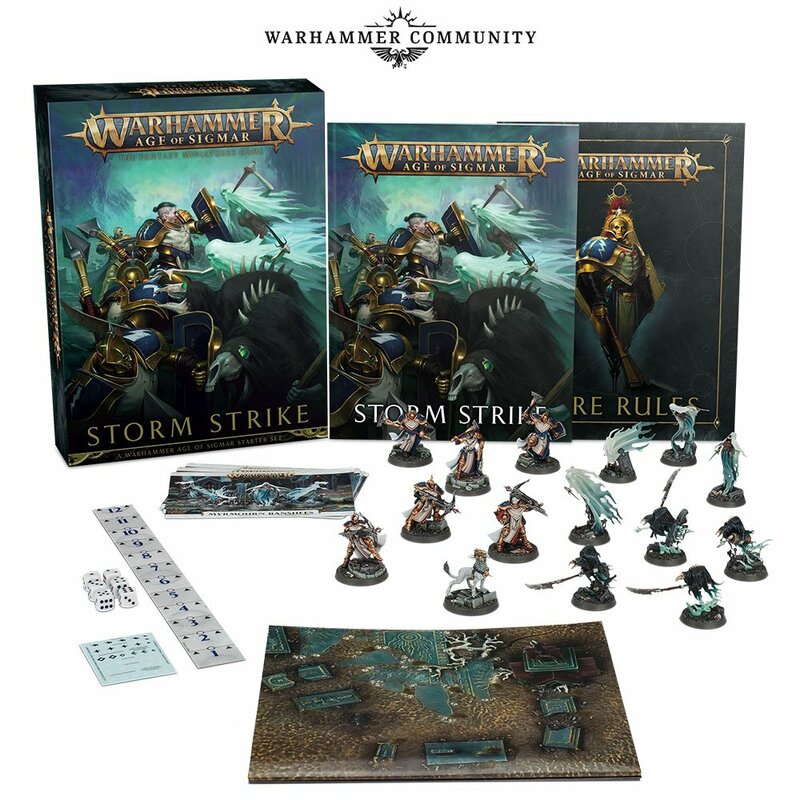 I have several sets of Storm of Sigmar, Thunder & Blood, First Strike, and Know No Fear. The number of sets probably would add up to having bought a BIG BOX, but I can buy the smaller sets slowly as I can afford them rather than saving up and making the big buy all at once. I bought the big box set this weekend because I wanted all the stuff that came in it and I could afford it. I also bought the Malign Sorcery expansion too. But I totally hear what you are saying about buying in smaller increments. That is another way GW is making their stuff very affordable for people. I really like the way GW is moving to allow smaller games to be just as fun as big battles. Used to be you needed 5+ units to even make a game worth playing. I think they saw how unwieldy 8th edition WHFB and 7th edition 40K had become and made a conscious effort to get away from that. Now both 40K and AoS can be played with a few dozen models a side and a great game can be had. But both systems are able to handle 100+ model games easily as well. It really is well designed. Yes it scales down really well. 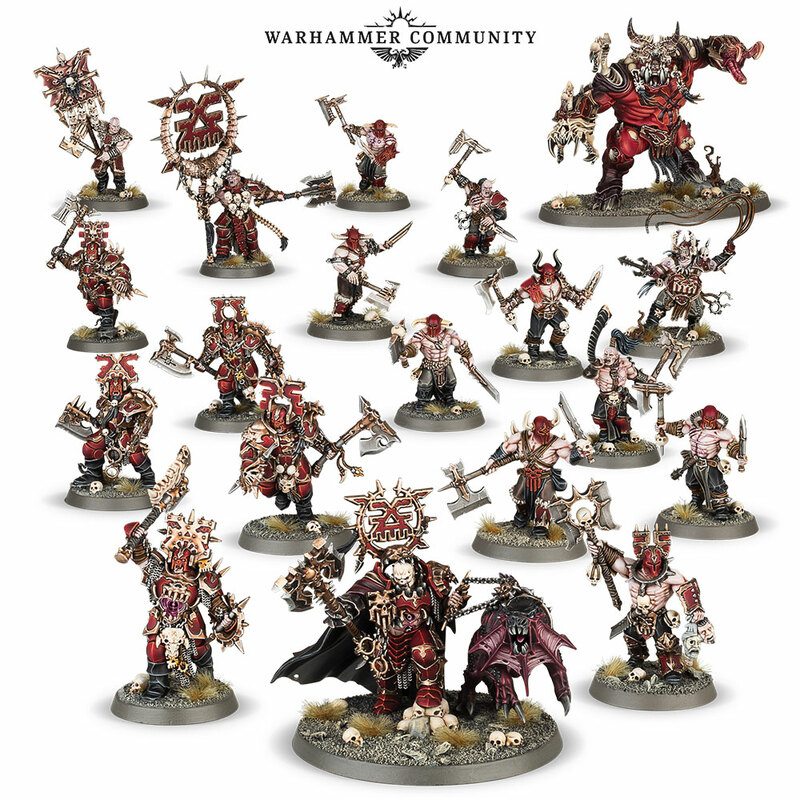 You can also play Age of Sigmar Skirmish, which would work great with these sets. One problem with WHFB was how tough it was to get into. You have to buy a lot of stuff to get enough units for a decent game. Low point games just did not work well. AoS allows a new person to get in with just a few miniatures in a Start Collecting or other starter box. The game itself scales better to low point games. We played the Firestorm campaign box using AoS Skirmish to resolve the battles and it worked great. In addition to skirmish you can also do Path to Glory which is a great way to slowly build up an army. Those Start Collecting boxes are the greatest selling point GW has had in a very long time. The old Battalion and Battle Force sets were nice, but they didn't really give you a playable force right from the box. You still needed extra stuff to make them work (HQ or Heroes, a second core unit or troop, etc). The only other thing I can think of in "recent" GW history that even comes close to the Start Collecting sets was the Battle for Skull Pass when it first hit retail at $45 USD a box. If you and a friend each got a set and swapped one of the sides you got an incredible $45 USD army, but only if you were into Dwarfs or Night Goblins. The Start Collecting boxes are right about 500 points, give or take, which is a great start to an Escalation League or campaign.